This trendy leather wrap bracelet style is a hit! You’ll create a bracelet that wraps around your wrist twice and finishes with a button style clasp. A shiny row of natural stone, gemstone, or crystal beads surrounded by leather. All participants will receive instructions to take home so you can make more. You can wear your creation or give it to someone special as a gift! 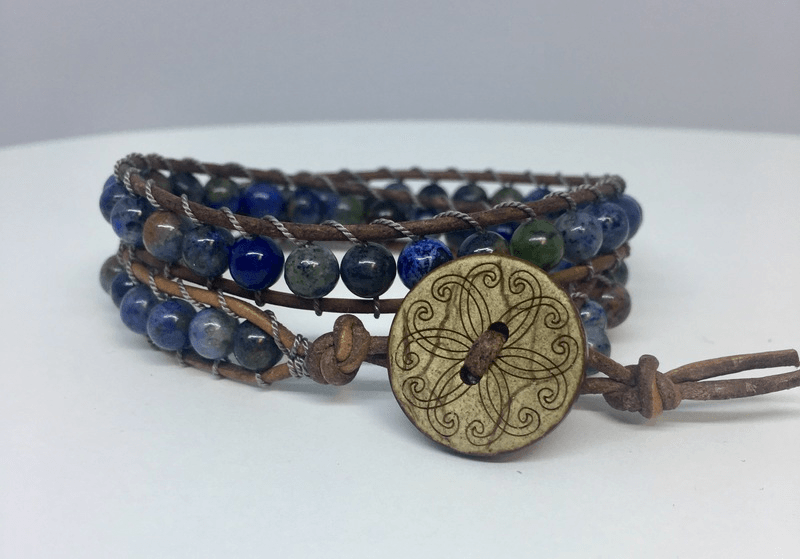 Once you learn the basic techniques you can easily create bracelets using any mixture of beads. Christa Tess Kalk is coming to us from a gift store in Robbinsdale called Minnesota Makers, where all items are made by Minnesota artists. The store also features craft classes.